I am a bit late with my Vintage Bliss Tuesday post today, as I'm enjoying a couple of days at "the cottage," aka my parents' house. We have plans for shopping (at the thrift store?) and lunch in town, swimming with the kids later and, hopefully, reading on the deck while holding a lovely cold drink. So I'll make this quick. Here are a couple of items I found recently at the thrift shop. Another trivet, this time with a rooster on it. 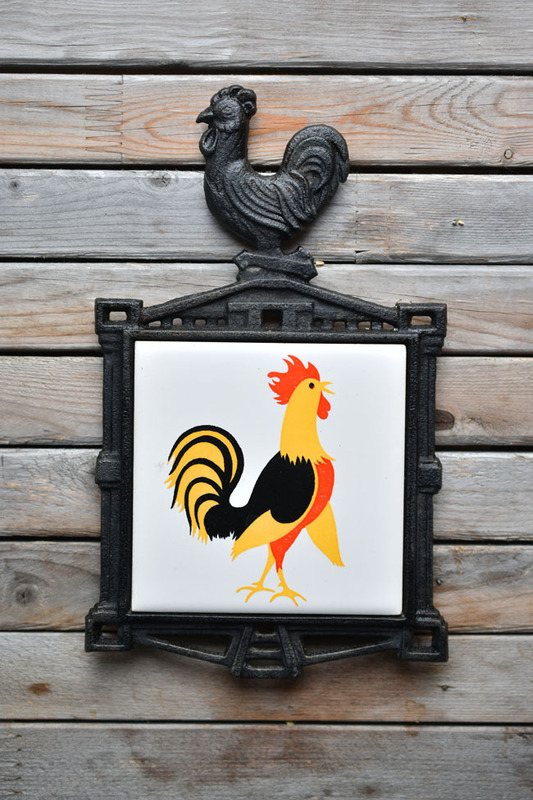 I don't have the kind of decor that invites lots of roosters, however, I love these black iron trivets. I would like to put a bunch of them along my wall in the kitchen in lieu of a backsplash (because we have been too lazy to install one). And this rooster has a nice jaunty look. I really like the colours too. Among the many things I collect (like trivets!) are parfait glasses. 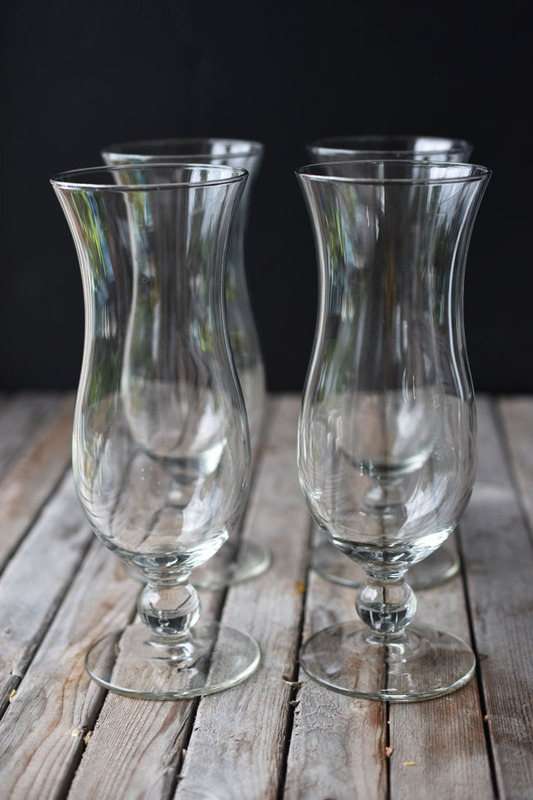 I snapped up these tall clear glass ones because they are lovely to use for ice cream or pudding or parfait. But also because they are great for food photos. You can see all of the contents of the glass from the side! I look forward to developing a recipe that will work nicely with these parfait glasses. What have you been collecting lately? 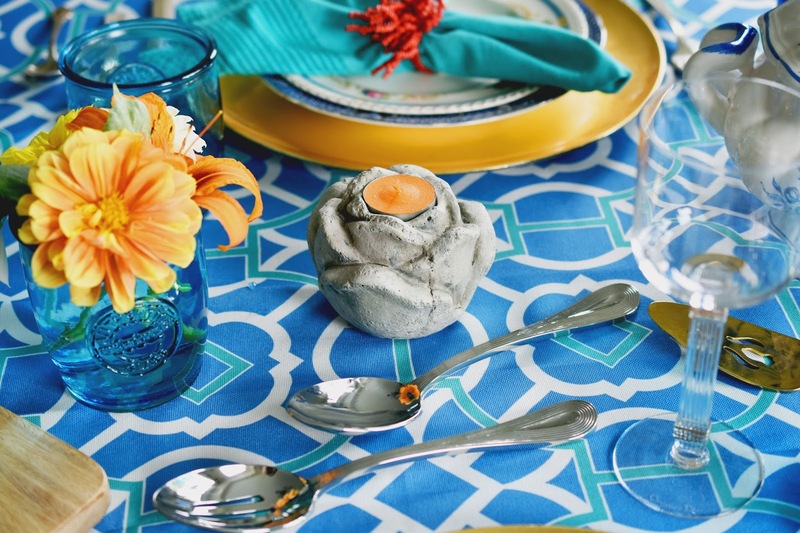 Are you shopping more or less now that it's summer? Love the idea of a trivet backsplash! Thanks for the party, have a great week!! I'm not sure my husband will love the idea. ;) Thanks Cheryl. Love the parfait glasses! Thank you for inviting us to your Vintage Bliss Tuesdays party.The love of vintage is strong! Thanks for joining in Dianne! Great finds. The glasses are my favorite. Thanks for sharing at Vintage Charm.